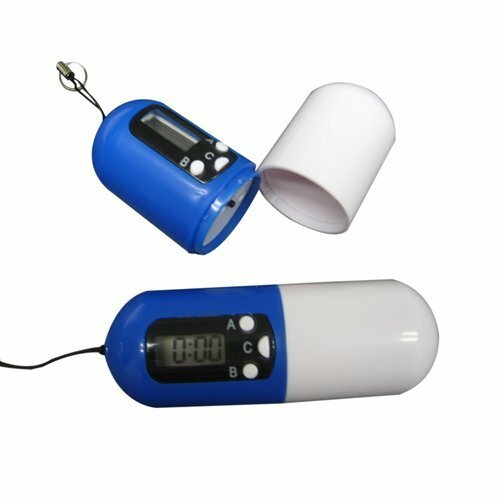 This Pill Box Timer would be ideal for the pharmaceutical/medical sector to give as a Promotional/Corporate Gift. Incorporating three compartments to hold pills, tablets and capsules it boosts a countdown timer with a 24 hr scope which you can set to remind you 10 to 5 minutes before you are due to take your medication. With an LCD screen and buzzer, it measures 83 mm.